Gotham City is in chaos as the criminal organizations run wild, seeking to fill the void left by the death of the Joker. When the Scarecrow threatens to unleash a toxin that will kill scores of innocents, the result is uncontrollable panic. 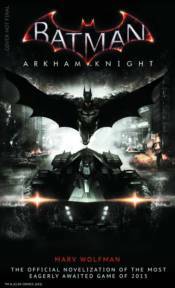 The Batman: Arkham Knight novel is based on the official script for the game slated for release June 2, 2015.